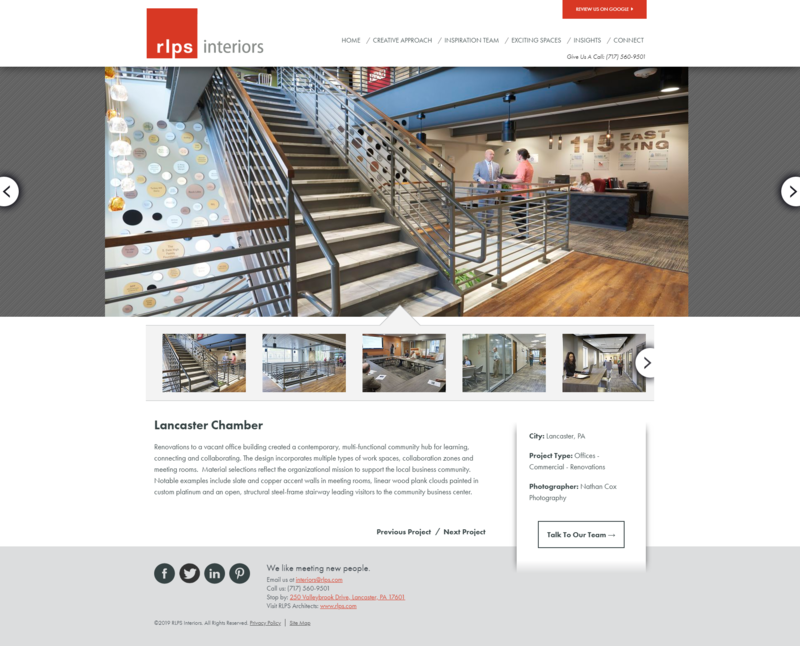 RLPS Interiors | Portfolio | Sharp Innovations, Inc.
RLPS Interiors, a tributary of RLPS Architects, needed a site distinct from its counterpart but one that continued in the RLPS tradition of adept design work. 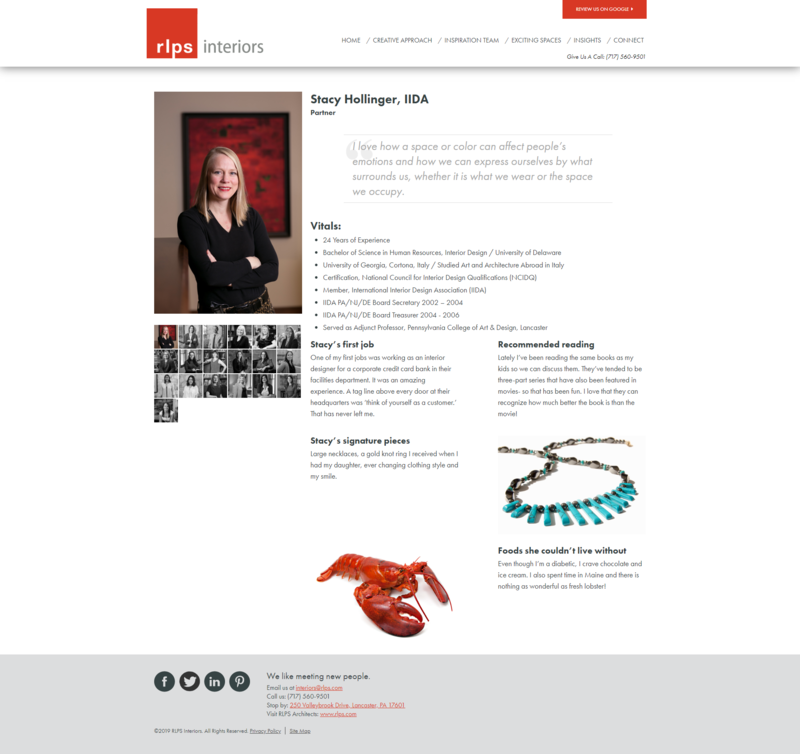 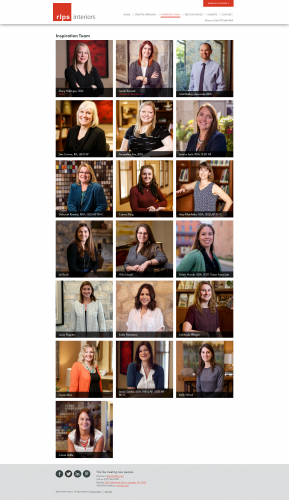 The multi-faceted project addressed the challenges of presenting a highly visual site that was easily searchable, and could be creatively maintained in-house by way of custom CMS solutions. Sharp Programmers and designers worked in tandem to create blog, news manager and portfolio pages that could all be managed in-house rather than outsourcing updates to Sharp’s support team. 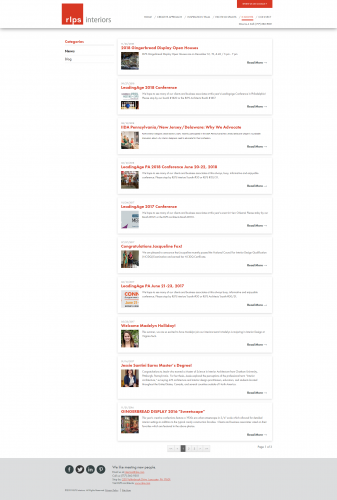 The custom built CMS allowed the RLPS team to keep its public in the loop with articles, new projects, and news items real-time. 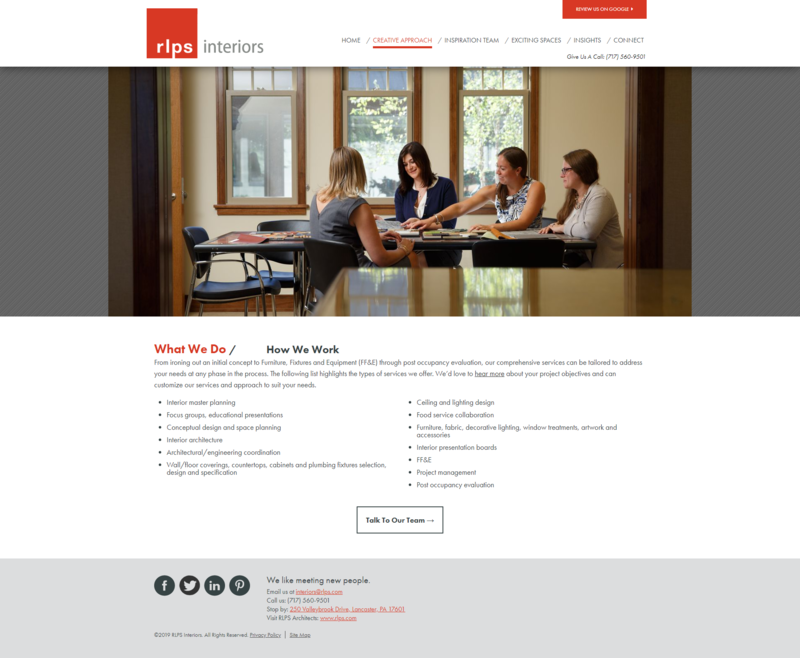 Matching RLPS’ knack for aesthetics, Sharp’s designers created a homepage experience with three dynamic features occurring simultaneously; a custom homepage animation region showcasing its best work, a news ticker displaying most recent press, and a team profile box cycling through its valued interior design team. 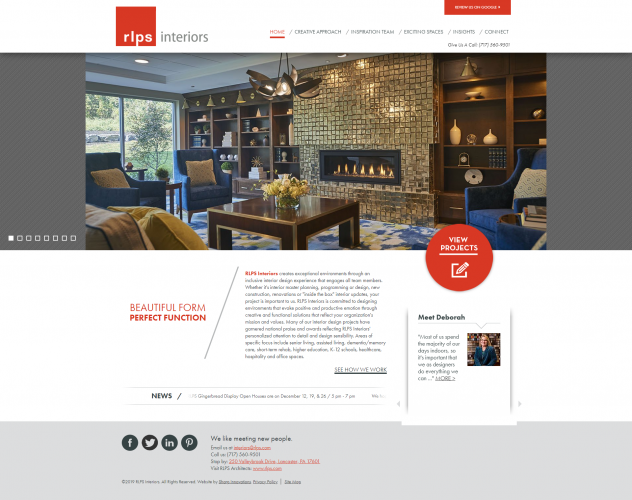 Visitors to its website in general can see not only that the work of RLPS Interiors is unmatched but its web design and orientation follows suit.